Villa Mayo a Beautiful Villa, Faro Park Playa Blanca - Peaceful Location and within a few minutes walk of the Atlantic Ocean. Villa Mayo was the perfect home from home, very clean and comfortable and the views are lovely. Everyone we have dealt with have been very helpful and do everything to ensure a great holiday, couldn't ask for more! Good value overall, which is why we return every year. Always spotlessly clean on arrival. If I wanted to be picky, the bed in the main bedroom would benefit from a memory foam topper which are not overly expensive. Sky football on t.v would be a bonus. 1 person fandt denne anmeldelse nyttig. A gem of a villa. 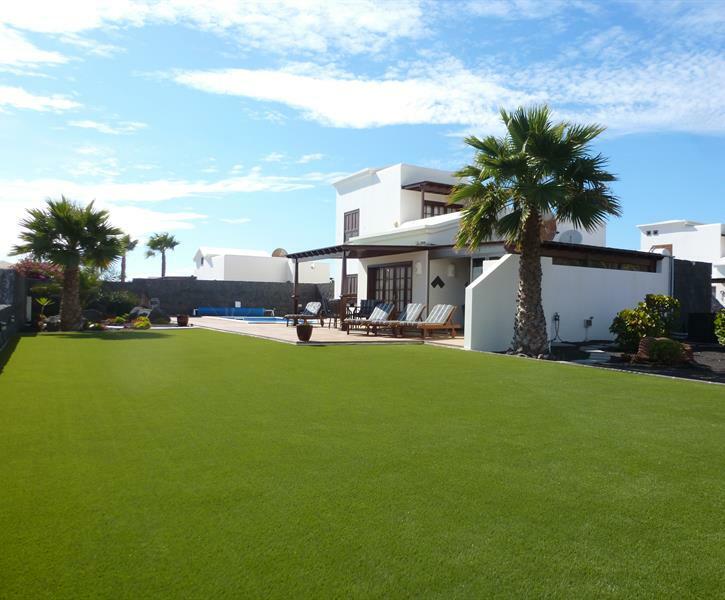 Our 22nd visit to Lanzarote and this villa ranks up there with the very best. Clean, modern and very convenient for all that Faro Park has to offer. Would most certainly visit again - in fact I tried to book for next year but was pipped at the post by another visitor! So the moral is, book Mayo early!! Spent a fantastic week at Villa Mayo with family in early November. This was our second visit to the villa and we cannot fault it! It is spotlessly clean and has all home comforts. The attention to detail is great and the thoughtful welcome pack is a lovely touch. John and Norma ensured the booking process went smoothly and Jo looked after us during our stay and made sure we had everything we needed! A special mention to John for all his help in returning an earring that I had dropped on the floor of one of the bedrooms! Thanks also to Jo for packaging it so nicely. That was above and beyond, and was very much appreciated!! Would not hesitate to recommend Villa Mayo and look forward to returning again soon!